We put this out there for a client recently, just thought we’d share with you folks. It occurred to Pooh and Piglet that they hadn’t heard from Eeyore for several days, so they put on their hats and coats and trotted across the Hundred Acre Wood to Eeyore’s stick house. Inside the house was Eeyore. Eeyore looked at them in surprise. 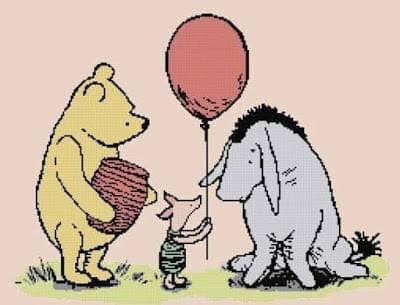 And the three of them sat there in silence, and while Pooh and Piglet said nothing at all; somehow, almost imperceptibly, Eeyore started to feel a very tiny little bit better.